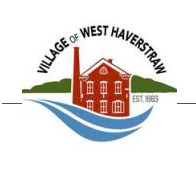 The Village of West Haverstraw held two public hearings at its semi – monthly meeting on April 3. The first was on overriding the tax levy limit and the second presented the 2019 – 2020 village budget. The overall budget increased $200,000. This is 3.21 percent over last year’s budget. The total budget for the village is $6,555,137.00. “This increase is because of the rise in the tax levy of the $200,000,” Catherine Kopf, village treasurer, said. The public did have a chance to speak on the budget and the tax levy override and ask questions to clarify anything they didn’t understand. None of the residents in attendance chose to utilize this option. Many municipalities and other agencies offer their employees what is referred to as longevity pay increases. The West Haverstraw government, “Looked over way our employees are receiving their longevity pay and we felt that it was not as appropriate as it should be and we canvassed other municipalities,” said D’Amelio. According to D’Amelio, the addition is for full – time employees only, so what wee have done is include village hall staff and what Catherine didn’t say was that these ladies, they all just happen to be ladies, they don’t have to be ladies to work at village hall never got longevity. Now any full – time employee of the Village of West Haverstraw is eligible for longevity pay. Along with the longevity pay increase as per the salary schedule every employee in the village got a 2 percent raise. Kopf was asked to explain the difference. “Yes. We are authorizing the entire summer camp schedule along with the trips at an approximate cost of $492 per camper, if the camper goes on all of the trips for the entire six – week session. If each of the 250 campers goes on each of the trips for six weeks the approximate cost will be $100,000. Those trips and authorized payments authorize payments of the deposits. D’Amelio asked the board to award Scaffidi Paving and Contracting Inc. a $9,000 award for paver installation. Other improvements and changes being made in the village include the DPW Garage and offices. These improvements are going to cost the Village $8,190. “If anyone was to look out the door it would look like there’s an in – ground swimming pool. There’s not. It’s part of the expansion for the highway garage and offices. We moved a couple of walls around, plans are great.” D’Amelio stated with s smile. Hacking of the computer systems of retail stores, banks and government agencies is a major problem in the world. The village amended section 725 of the employee handbook on technology and communications in order to comply with new cyber security legislation from NYS. The Samsondale streetscape has been an ongoing project. Continuing to get the project completed, a change order in the sum of $12,000 was approved by the board. “This is the drainage part of it. It’s just going to cost us a lot less money to add three catch basins to make it easier to connect to our pipes in three different radiuses as opposed to ripping up neighbors’ sidewalls, yards, fences and so on and so forth. We would owe Scaffidi additional money for those services. We would have to refurbish the resident’s property. This is a way to stay off the resident’s property and save money. By spending this $12,000, we’re saving at least double that, by not having Scaffidi go to people’s property ripping up side yards and moving fences and sheds. According to D’Amelio. We’re ready to start back up and get those drains in. John Piperato informed the board that they in there prepping the roads now before we start excavating on April 4. The drainage part of the projects is important to keep the streets free of puddles in the rain. Kopf said, “As far as the Stormwater project, NYS DEC requires stormwater management and every year there are new requirements.” She asked inspector Fred Viohl for further clarification. “It’s all the upgrades on the stormwater management we have to get recertified every year and take a seminar part of the state requirements,” Viohl stated. The meeting concluded with the announcement of some activities taking place in the next month. SW Johnson firehouse Friday night Fish Fry, April 5, 12, & 19 from 6 pm to 8 pm. Rotary club of North Rockland hosting its annual Pancake Breakfast from 8:30 – 11:30 a.m. on Sunday April 7.Friday April 12, Helen Hayes Foundation is hosting its annual Rose Award Dinner at the Paramount Country Club. With the professional baseball season in full swing, it is time for the Haverstraw Little League to have its Opening Day parade and ceremony on April 13. And on May 4, from 9 a.m. – 12 noon the annual West Haverstraw clean up through Keep Rockland Beautiful will take place.